She wants to start a business. He wants to avoid his past. A perfect combination or a recipe for disaster? Alison with an entrepreneurial spirit, and a leap of faith, quits her job and buys a vintage bakery. When she hires the cute contractor to do the repairs, the building may not be the only thing he restores. As a widowed dad, Chad has his hands full with his son and overzealous matchmaking friends. Now he’s falling for Alison and envisioning a future with her. But he can’t forgive himself for the mistakes he’s made.Will Alison let Chad’s past melt away any hope of a sweet ending? If your passion is happy-for-now stories, then you’ll love CBA best-selling author Diana Lesire Brandmeyer’s compelling tale of forgiveness. 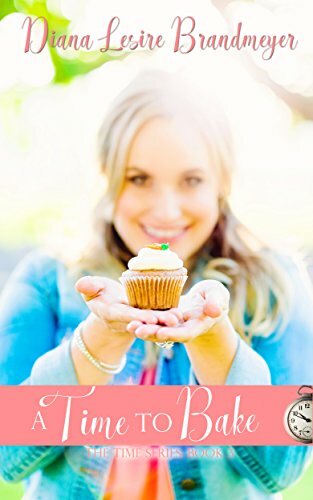 A Time to Bake is the third book in the Times Series of sweet Christian romances. Buy a Time to Bake to indulge in a scrumptious romance today.